As our valued guest, we'll ensure that you have an amazing experience, with the time and space you need to get the views and photos you want. You'll also gain unique insights to the Native Navajo culture in this sacred and peaceful setting. We invite you to join us! Enjoy the TOP TWO attractions in the Page area, all in ONE EPIC TOUR! 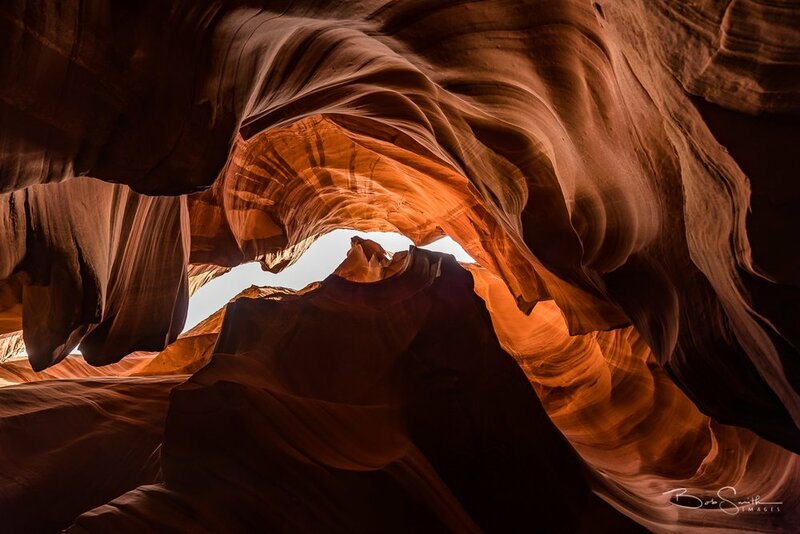 You get the full Slot Canyon Tour PLUS Horseshoe Bend Overlook, the most iconic and breath-taking view of the Colorado River winding 1000 feet below. Avoid the congested public parking lot and long walk to the rim. We will drive you to within 100 meters of the edge of the canyon! An off-road, 4x4 adventure drive across primitive Navajo lands to where you will leisurely explore and photograph one of the most beautiful slot canyons available ...without any crowds. Avoid the congested parking lot, long walk and crowds of Horseshoe Bend Overlook. 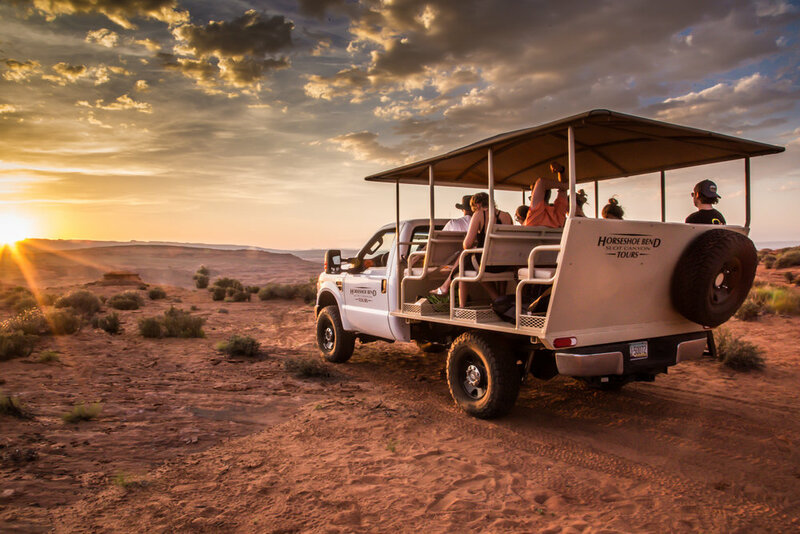 We will drive you to within 50 meters of the rim of the canyon to a private location approximately 200 meters to the south of the overcrowded public viewing area. Serious photographers world-wide know that this amazing Lake Powell lookout point in the Glen Canyon National Recreation Area will leave you marveled. Getting there is only half the journey. Our expert guides allow your trip to be one-of-a-kind and worry free. Taste of the Native American culture as you watch talented Navajo hoop dancers perform on the rim of Horseshoe Bend Overlook. Enjoy the sun setting behind the majestic Vermillion Cliffs. Why Book with Horseshoe Bend Tours? We are a Navajo, female owned tour ﻿company﻿ ﻿offering﻿ exclusive access to ﻿Horseshoe Bend Overlook and Slot Canyon (a.k.a. Secret Canyon) on Navajo Lands near Page, Arizona. Unlike other area slot canyons, ﻿we﻿ strictly limit the number of guests to ensure ample time to enjoy and photograph one of the most unique and magical places of the American Southwest. We invite you to come experience the difference. Call (435) 275-4594 for more information or to reserve your tour!